Mr. Marmaro consistently is recognized as a “leading lawyer” by Chambers Global andChambers USA, and he repeatedly has been selected for inclusion in The Best Lawyers in America. He was one of 11 attorneys named to The National Law Journal’s annual “Winning” feature, which profiles highly successful litigators, and one of 34 attorneys named to their “Most Influential Lawyers” list of those who are “shaping the law, the economy and the physical fabric of the United States and the world.” Mr. Marmaro also was named “Litigator of the Week” by The Am Law Litigation Daily; was named “Attorney of the Year” by The Recorder; was recognized as a “Litigator in the Spotlight” by The American Lawyer; and was a finalist in 2010, 2011 and 2013 for theChambers USA “Award for Excellence” in the area of “Litigation: White Collar Crime & Government Investigations.” In addition, he has been included in Who’s Who Legal — Business Crime Defense. Mr. Marmaro also was among the winners of California Lawyer magazine’s “California Lawyer Attorneys of the Year Awards,” which recognize lawyers throughout the state whose legal work has made a profound impact. represented executives of several leading corporations in SEC enforcement matters, including Critical Path (defense of former CEO); Gemstar-TV Guide (defense of former CFO of TV Guide); Peregrine Systems (defense of former controller); and Netopia (defense of former VP of sales). Mr. Marmaro has represented Big Four accounting firms and their executives in civil, regulatory (SEC and PCAOB) and criminal litigation. He also has conducted internal investigations for accounting firms in SEC and PCAOB matters, which have included FCPA, fraud, breach of contract and negligence issues. 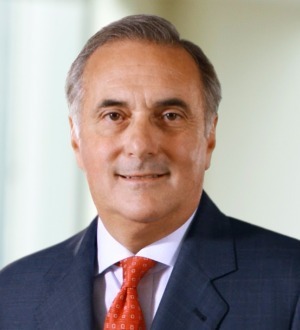 In addition, Mr. Marmaro routinely is retained by broker-dealers in connection with criminal and regulatory investigations by the DOJ, SEC, FINRA and the New York attorney general. These representations have involved IPO allocations, market timing and revenue recognition issues. Mr. Marmaro also has represented audit and special committees of public companies in connection with internal investigations into various allegations. Mr. Marmaro has appeared on CNN, KNBC and CNBC as an “expert commentator” on SEC enforcement and white collar criminal issues. He is quoted frequently in such publications as The New York Times, The Wall Street Journal, The Los Angeles Times,The Washington Post, USA Today and Fortune magazine on issues relating to white collar criminal defense and SEC enforcement. He contributed to Navigating Today’s Environment: The Directors’ and Officers’ Guide to Restructuring (BeardGroup, Globe White Page Ltd., 2010) and is a frequent speaker at conferences and bar groups on trial techniques and defending SEC and white collar cases. Mr. Marmaro has been on the faculty of the Attorney General’s Advocacy Institute at the U.S. Department of Justice, where he participated in training assistant U.S. attorneys from around the country. In addition, he has served as the president of the Los Angeles Chapter of the Federal Bar Association. He has served as the co-chairman of the Central District’s Attorneys Delegation to the Ninth Circuit Judicial Conference and as the co-chairman of the Trial Practice Committee of the ABA’s Litigation Section. Mr. Marmaro also has taught civil trial practice at Southwestern Law School. Prior to entering private practice in 1984, Mr. Marmaro served as a law clerk to a federal judge in the Southern District of New York and as an assistant United States attorney in the Central District of California, where he was an assistant chief of the Criminal Division. As a federal prosecutor, Mr. Marmaro conducted and supervised numerous grand jury investigations and successfully prosecuted both individuals and companies for business-related crimes, and successfully argued numerous appeals before the Ninth Circuit Court of Appeals.